Norma graduated from the BJ program at Carleton in 1974, launching a journalism career that began at the Star Phoenix in her native Saskatoon. She moved on to report for The Canadian Press in Toronto, Ottawa and Washington DC before joining Southam News in the U.S. capital in 1989 and then taking over Southam’s Middle East bureau in 1994. 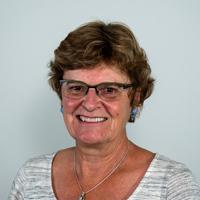 She returned to Canada in 1997, and worked in the parliamentary bureau for the Ottawa Citizen, Canwest News Service and Postmedia News until she retired in 2011. Over the years, she specialized in national politics, international affairs and social policy issues ranging from immigration and refugees to childcare and assisted reproductive technology. She has been a contract instructor in the journalism department since 2001-2002, teaching the fundamentals of reporting, analytical reporting and most recently, social issues reporting to fourth-year journalism students.